It especially looks bad because it never matches the uniforms. chrome red is different than the red you would see on the pants, and that alone bothers me the most. Add outlines to the number, and a single pant stripe and these would go from about a 7/10 to a 9. I don't really like the way the stripes terminate on the back of the VaTech jerseys. I think they would look better if they just filled the space between the collar and nameplate like a yoke, if that makes sense. 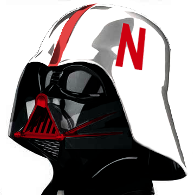 Also I wish they would quit messing around with those stripes on the helmet. I suppose they make more sense with these uniforms, but I think I the helmets look so much better without them. I still like this new look for the Hokies though. 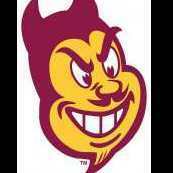 If they did it'd probably be for UA, I can't see them playing in adidas if ASU is too. Especially since they've seen the horrible crap basketball and football have worn. 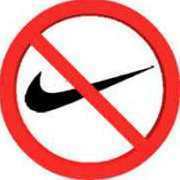 That's why I hate that my old college is an adidas school. 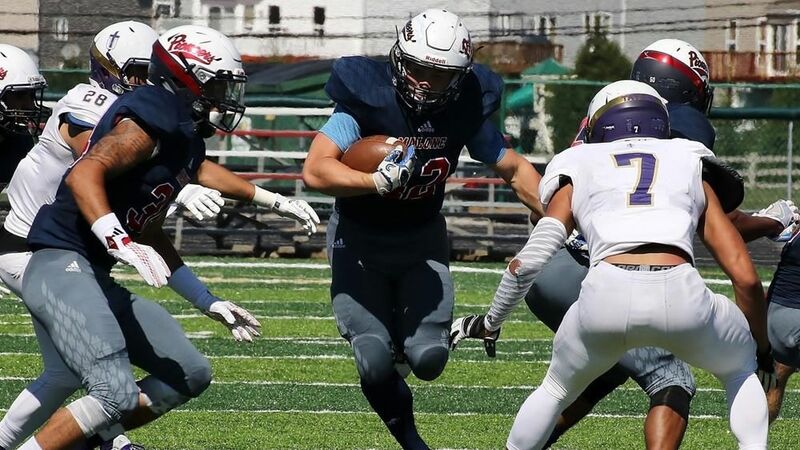 Red and navy blue are the school colors but almost every sport in the program has some type of dark grey pants or shorts, except for baseball who still wear Wilson. The wanna be Navy helmets are annoying too. Grey works really well with Red & Navy, can't blame them, but that's just poor execution, and the Adidas product just kinda stinks. Tread pattern...woof. Shame that those 2 schools both are wearing that helmet design. Here are a couple more shots of the Virginia Tech set. Curious to see better photos of the stripes attached to the collar. Remind me of the Cal uniforms a few years back. 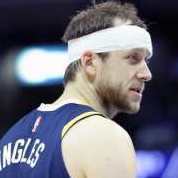 Also looks like that player is wearing old pants given the cut. Yes, but they've had the previous look for the past 10 years, and the only change was an update to the template and number font two years ago. After giving some time, I don't mind the new VT uniforms. I wish the stripes were maroon and not white on the Orange and Maroon jerseys, but I get that they were trying to use all 3 colors on the jersey. The stripe/collar also resembles the bottom of the V in the logo. My biggest two complaints... no pants stripes, and no outlines on the numbers. The numbers with this font are too thin to not have an outline, and every other sport uses an outlined version. With the pants, at least there is something on them (TECH), but I wish there was some form of stripes on them. 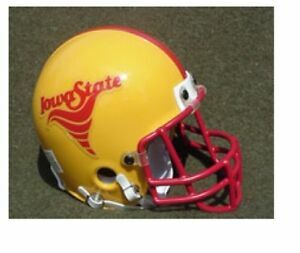 I'd really like to see the old twister helmet logo come back in some capacity at least. Maybe before emojis, because that looks like an upside down red poop emoji these days. An ANGRY POOP! If Washington had more sustained success they probably could have gotten more but I couldn't see them getting much more than Oregon. It'd be nice to see them lose the chrom helmets but i don't see that happening. The biggest knock I really have on adidas is their need to have patterns all over the uniforms that don't really seem to do anything than let you know that adidas made them. Washington isn't worth more since they don't resonate much in the Central or Eastern Time Zones. *** The top-three deals, and five of the top six, are not with Nike. All in all, the Swoosh represents just seven of the 12 schools. *** The disparity between UCLA and WSU ($16.3 million) would itself be the fourth-largest apparel deal in the country, behind only UCLA, Ohio State and Texas. *** Oregon obviously has received immense sums from Nike outside the parameters of its apparel contracts, but it’s nonetheless odd to see the Ducks with a lower annual haul than Cal. This design definitely fits better with their logo and font than the old UCLA stripes, which never looked quite right on them anyway. They need to ditch the helmet stripes, though. The stripes on the shoulders looked to be based on the stripes on the helmet, as they taper in the back..On the maroon jersey, the two white shoulder stripes and orange collar echo the helmet stripes. Disappointed Washington made the decision to go to Adidas. I was really hoping they would be the Pac-12 school to wear the Jordan brand in football, as well as in basketball. Likely it will eventually now go to either Arizona or USC which probably isn't going to excite people like me. Considering ISU is usually about the 3rd best football team in Iowa, that emoji seems apt. 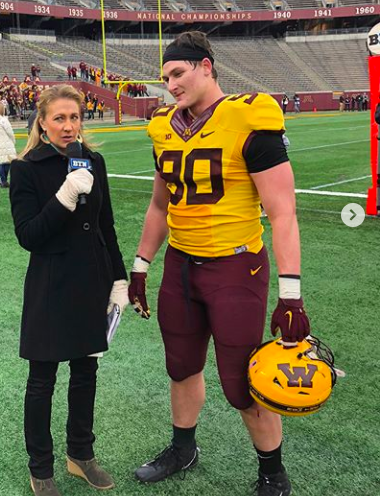 Did anyone see these gophers spring helmets? The "M" has the yellow outline filled in. Actually looks better than the double outline, IMO. Minnesota's new uniforms for the fall were already unveiled. I, for one, appreciate that the team is so thoroughly embracing PJ Flarcktard's coaching philosophy. I realize it’s just a picture from practice and likely means nothing but hopefully this is at least somewhat indicative that yellow pants will return for the away uniforms because this is the clearly superior look for Michigan on the road. They brought them out for the Penn State game as their "big game" look and got trounced, so I think they may be relegated to the closet when they're on the road. It's still the better look too, which is sad. Gosh, that’s a great football uniform. That look will be back in 2019 after Harbaugh leaves for the Texans instead of getting fired following another loss to OSU.